Walk into Canyon Cinema’s San Francisco headquarters, and you are immediately greeted by its material commitment to an alternative cinema: rows and rows of 16mm film prints, more than 3200 in all. For nearly 50 years, adventurous audiences have relied on Canyon to access vital works by the 250+ artists in our catalog and we will continue to serve them well into the future. 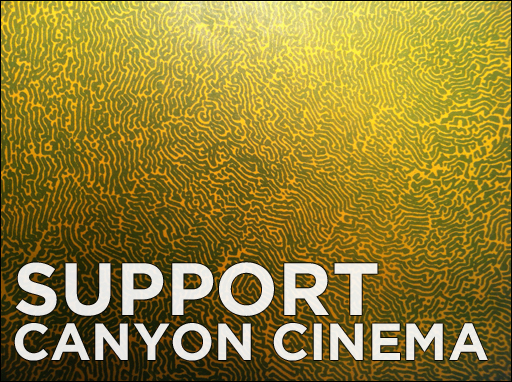 The Canyon Cinema Foundation is making great strides to expand the terms of its advocacy for artist-made cinema, but we need your help! If you have ever felt yourself transformed by a film distributed by Canyon; if you recognize the vital importance of maintaining accessible celluloid prints of artist-made films; if you believe that alternative cinema is crucial to the broader story of contemporary art, we ask that you consider making a tax-deductible donation to Canyon Cinema Foundation before year’s end. 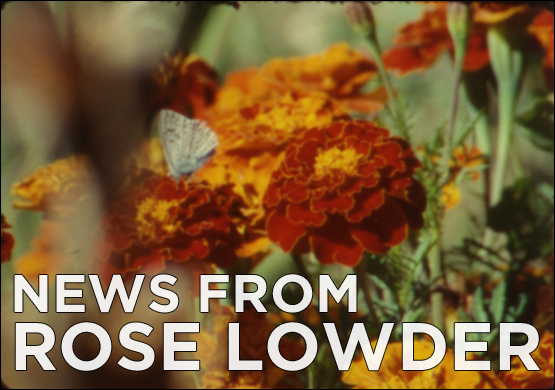 A heartfelt thank you to everyone – the filmmakers, professors and educators, curators, donors, board of directors, volunteers and moral supporters – who have so generously contributed to our efforts in 2015! We could not have done it without you! In an effort to broaden viewership and network with institutions supporting and studying independent cinema, Canyon is teaming up with the streaming video platform Kanopy. Kanopy is an online streaming service working with filmmakers and distributors to provide educational institutions with access to over 26,000 films. 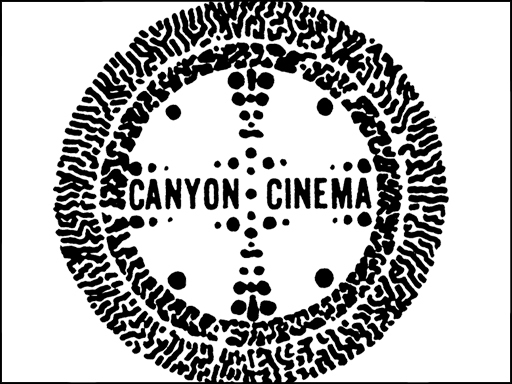 Working with such distributors as the BBC, PBS, and Criterion Collection to provide film resources to students worldwide, Canyon’s partnership with Kanopy, along with sites like Mubi and Fandor, aims to provide even broader streaming access with the purpose of educating and enriching the culture of independent and experimental film. 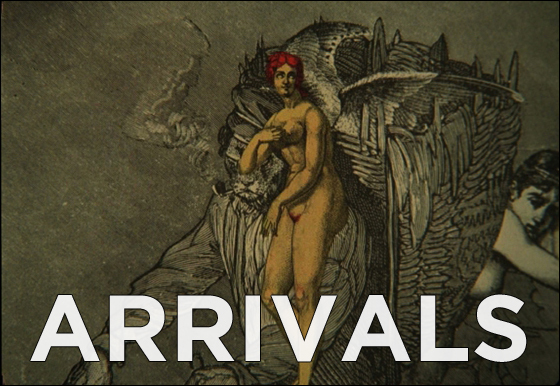 We are delighted to announce the availability of Lawrence Jordan’s new film The Apoplectic Walrus. Meticulous in its composition and sombre in its use of color, Jordan’s tribute to influences Max Ernst and Luis Buñuel is ready to screen! Also arriving this month are four recent films from Charlotte Pryce. The films, made between 2008 and 2013 are described as short studies on the capacity of the “glass eye” to reveal and obscure what it sees. As well, Tomonari Nishikawa’s brilliantly colored work sound of a million insects, light of a thousand stars, is now available in 35mm! This month we welcome thirteen of Dominic Angerame’s films back into the Canyon collection. These 16mm prints of films spanning three decades of Angerame’s work – from Flush It! 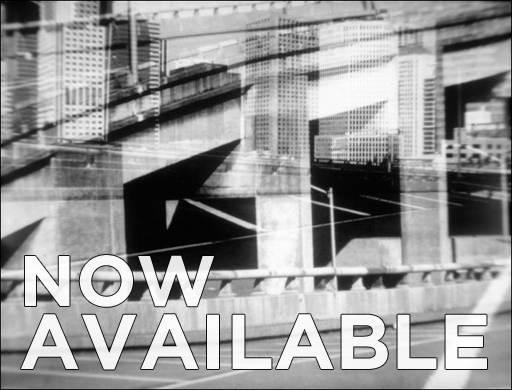 (1969) to I’d Rather Be In Paris (1982) – are now available from Canyon Cinema. Check out Dominic’s extensive filmography and bio on our site. In addition, we’ve also received new prints of nine films by Amy Halpern, including her 2012 Assorted Morsels suite of 8 films. Finally, following recent preservation work by the Academy Film Archive, a new print of Bruce Baillie’s Quick Billy rolls (numbers 14, 41, 43, 46, 47 and 52) has arrived and will accompany rentals of Baillie’s Quick Billy (1970). 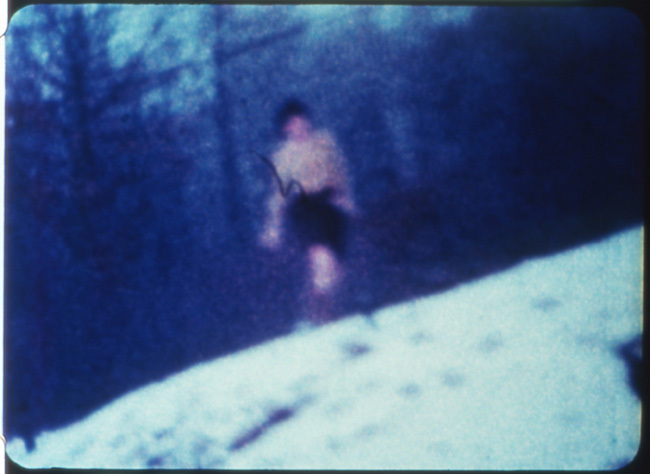 Since the late 1960s Saul Levine has made more than 60 moving-image works, exploring both the film and video mediums. His films, full of kaleidoscopic imagery, range from impressionistic to intimate portraits of close friends. Much of his work is imbued with a visual aesthetic that captures a somber mood. Working with both sound and silence, various film and video formats, the diversity of Saul’s individual works serve to enrich the voice of the oeuvre as a whole. 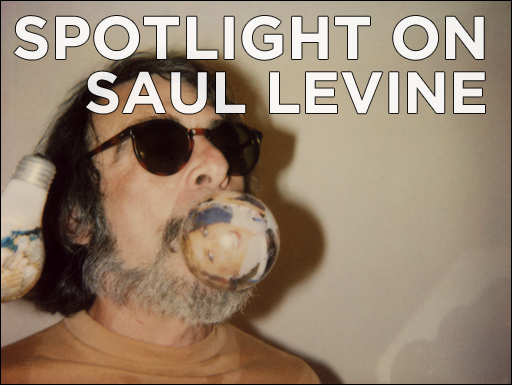 As a long time professor at Massachusetts College of Art and Design and curator of the MassArt Film Society, Saul remains actively influential to new generations of filmmakers. See Saul’s flickr for stills from his work. In November we were joined by San Francisco filmmaker Paul Clipson for the latest installment in our Salon Series. We were quite pleased to see a packed house at No Nothing Cinema for Mr. Clipson’s program, Other States, which featured the artist’s own work as well as films by Kenneth Anger, Marie Menken, Chich Strand, and Lawrence Jordan. We want to thank everyone in the community for coming out to support the culture of independent cinema – see photos from the salon on our blog! 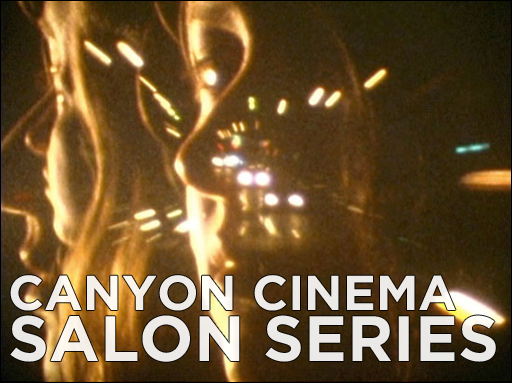 Canyon wrapped up a great year of Salon programs with a long awaited screening of Michael Snow’s Wavelength, co-presented with Black Hole Cinematheque. 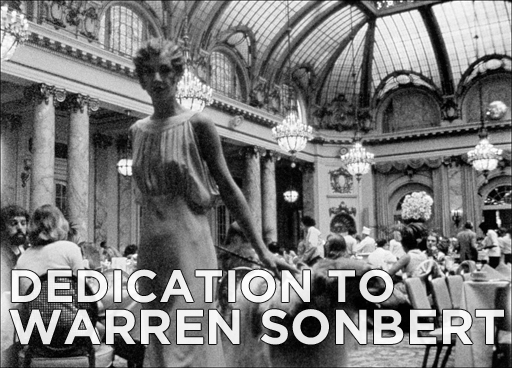 Since the late 1960s Warren Sonbert has been regarded as a key figure in avant-garde cinema. Privileging so narrow a scope of the artist’s work, however, fails to take advantage of the depth with which Sonbert engaged image and text across multiple media. Expanding the scope of the artist’s legacy is precisely the endeavor of the Spring 2015 issue of Framework: The Journal of Cinema and Media. Guest edited by curator Jon Gartenberg, the issue is dedicated entirely to the writings of Warren Sonbert. For more in depth information about the issue and the work of Warren Sonbert, visit our blog. An homage and reimagining of Norman McLaren's 1971 film.